Let Go of my Damm Legos! The Melice men in Port St Luice, Florida gave their neighbors something to talk about last Tuesday night. 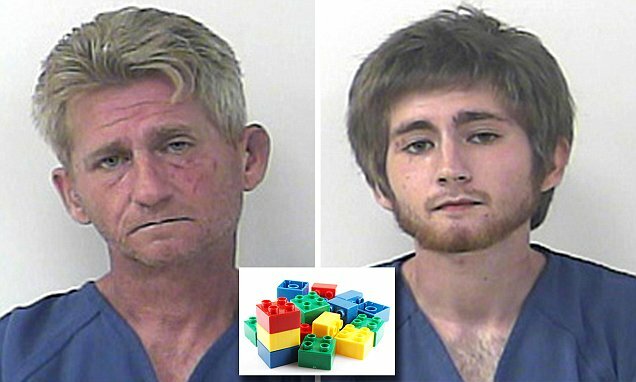 The young Melice ,19 year old Nicholas Jr who lives in Jupiter (the city, not the planet) learned his Lego collection had been trashed by his father, 46 year old Nicholas Sr.
Raised voices led to pushing ,shoving, punching . The po po was called . Officers noticed scratches on both men from the fight. Unable, to determine who started the fight. Both men, Sr and Jr wanted to press charges. The police took both men to da county jail for misdemeanor battery. This entry was posted in Crime, Domestic Violence, Humor, Hypocrisy Files, NATIONAL and tagged Florida., Legos, Nicholas Melice Jr, Nicholas Melice Sr, Port St Lucie. Bookmark the permalink.